The Centuries old glass art of Murano Island is a subject of marvel throughout the world. The clarity of the glass, the amazing blowing and coloring techniques, unique shapes – every aspect of the Murano glass articles hold the world in awe. The Murano glass artists have the art handed down to them by generations of dedicated glass blowers. 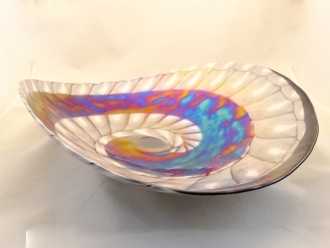 The art had been nourished by the tireless efforts of innovators of each century and now the Murano glass products grace the very top position in the glass art industry. Murano glass artisans are a set of extremely resourceful craftsmen who are bestowed with both skill and imagination. As a result, their creations swathe a wide range of subjects. You can find articles that can be used for a large number of occasions. They can be used as décor objects, table wares, and collectibles. 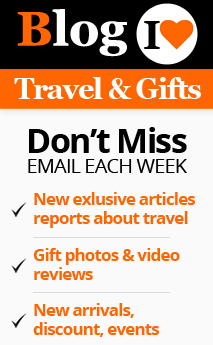 This is why they are considered to be excellent gift articles. 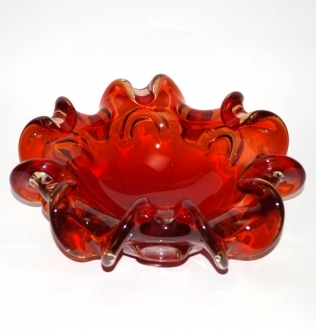 There are Murano glass products which can be gifted to people of all ages and interests. There are articles which suit all genders. These articles are fit to be presents for all occasions, be it festivals or personal interests. Your lady is sure to be ecstatic when she receives one of these magnificen t Murano glass jewelry items. Each of the components of the jewelry is hand crafted individually and so the level of perfection of these jewels is unparalleled. 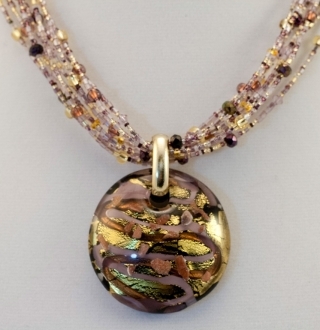 The Murano glass jewelry comprises both traditional and trendy pieces. There are elegant jewelry items that suit the executive class and there are new-gen designs that suit the young and bubbly generation of the present. 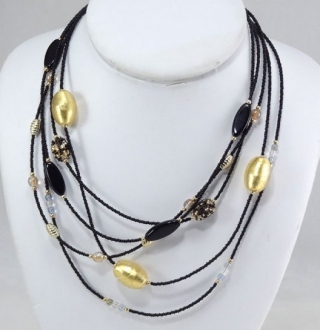 You will do well in choosing one of these Murano jewelry items to gladden the hearts of the women in your life during this Christmas, bet it mother, wife, sister or daughter. 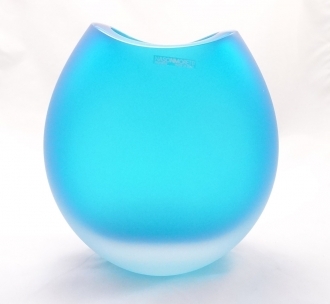 Murano glass craftsmen are experts in creating beautiful vases. They are so exquisite that they will win the hearts of the strictest art critique. The Murano glass vases with the frosted satin finish look incredibly elegant and exquisitely delicate. The Sommerso vases are a class of their own. The craftsmen have done their best to create as many varieties as possible in shaping and coloring these layered vases. The cobalt blue vases will lend their sparkle to the dullest of the dull rooms. 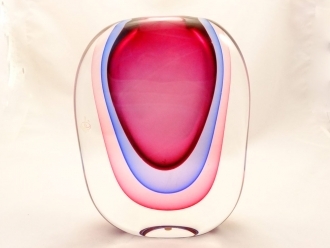 All types of Murano glass vases are highly popular and fit to be presented to absolutely anybody. You will never fail to impress the recipient. The standard of any banquet or conference is often decided by the centerpiece on the table. The elegance of the centerpiece is usually transferred to the whole ambience. 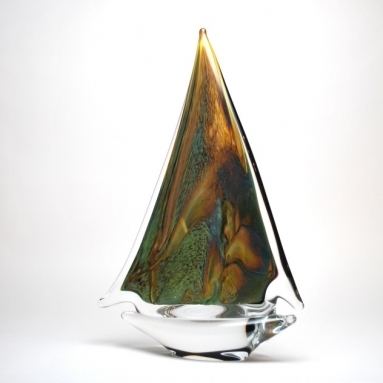 The Murano glass center pieces are individually hand crafted and their perfection is thus unique. There are clear glass pieces of different hues and shapes that will draw immense attention. 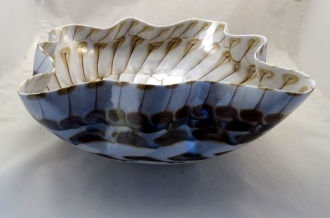 The laguna art pieces are highly favored because of their resemblance to various sea-shells. These are marvelous gift items that can be presented to your loved ones on all kinds of occasions. 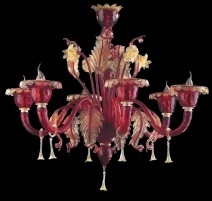 The Murano glass chandeliers were perhaps the very first creations of Murano that were admired by the world. They are real visual treats. They are finely shaped glass sculptures. The delicate stem of each light holder is breathtakingly beautiful and spectacularly elaborate. The shades of colors used to c reate these visual wonders are par excellence. These are appropriate gifts for house warming functions. 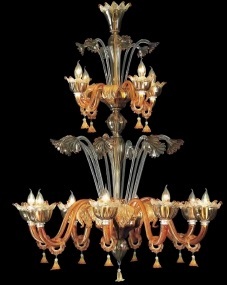 Send your friend or relative into euphoria when you congratulate him/her on acquiring a new house, with one of these Murano glass chandeliers. 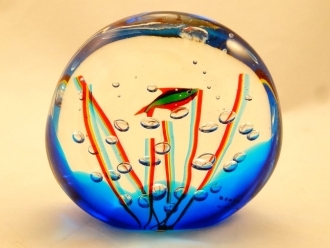 The murrine technique is one of Murano’s own magnificent glass blowing techniques. The technique is a considerably long one. However, the Murano murrine pieces are worth every bit of the trouble involved. The art work using the 22 karat gold produces some of the stunningly beautiful pieces of glass art. They are the most admired gift articles. You can make a gift of these art pieces with a confidence that they will be treasured. 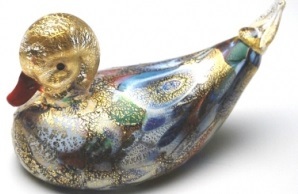 Murano glass masters are a set of extremely talented sculptures. Their perception of things is so meticulous that when the ideas are materialized, they turn out to be unique sculptures. The Murano glass artists model their work on everything under the sun – from animals and plants to human forms. The Murano glass sculptures also include very expressive abstract forms. Every one of these creations is exceptional décor items as well as collectibles, especially the calcedonia collection. This is the reason why they will serve as matchless gift articles. You can choose any of these sculptures to convey your feelings to your loved ones. The romantic figurines can be used to impress your partner, while highly decorative items can be used to express your appreciation for someone. Be sure to look up the Murano glass collection for this year’s Christmas and New Year presents. Your gifts will be lifelong treasures for your friends and relatives. H: 5" W: 20" L: 17"